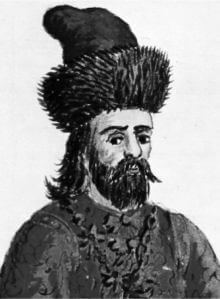 Famous for: His 13th century travelogue entitled: "The Travels of Marco Polo"
Quotes about Marco Polo: The biographer Laurence Bergreen commented on his recognition as the intrepid traveller: "He was: a chronicler rather than a fantasist. Vindication took a long time in coming, centuries, in fact"
The author Nick McCarty was energetic about his exploits: "In a life of ceaseless exploration, Marco Polo pushed out the borders of his narrow medieval world"
"I have not told half of what I saw"
"You will hear it for yourself, and it will surely fill you with wonder"
"For the Great Kaan their king is, I tell you, the wisest and most accomplished man, the greatest Captain, and best to govern men and rule an Empire, as well as the most valiant, that ever existed among the Tribes of Mongols"
"The Emperor himself is carried upon four elephants in a fine chamber made of timber, lined inside with plates of beaten gold, and outside with lion's skins"
"My heart beats as much as I can breathe"
"The people are Idolaters, use paper-money, and are subject to the Great Kaan. They live by trade and handicrafts, and they have plenty of silk"
"The Emperor's Mint then is in this same City of Cambaluc, and you might say he hath the Secret of Alchemy in perfection, and you would be right! For he makes his money after this fashion"
"For, tell it how I might, you never would be satisfied that I was keeping within truth and reason"
"Any one forging it would be punished with death"
"The Kaan causes every year to be made such a vast quantity of this money, which costs him nothing, that it must equal in amount all the treasure in the world"
"And nobody, however important he may think himself, dares to refuse them on pain of death"
"The Great Kaan may have, and in fact has, more treasure than all the Kings in the World"
"They have the best falcons in the world and also the best dogs in Tibet"
"These people of Tibet are an ill-conditioned race. They have mastiff dogs as big as donkeys, which are capital at seizing wild beasts"
"They stormed a tower belonging to some of the islanders who refused to surrender, and they cut off the heads of all the garrison except eight"
"I speak and speak, ... but the listener retains only the words he is expecting. ... 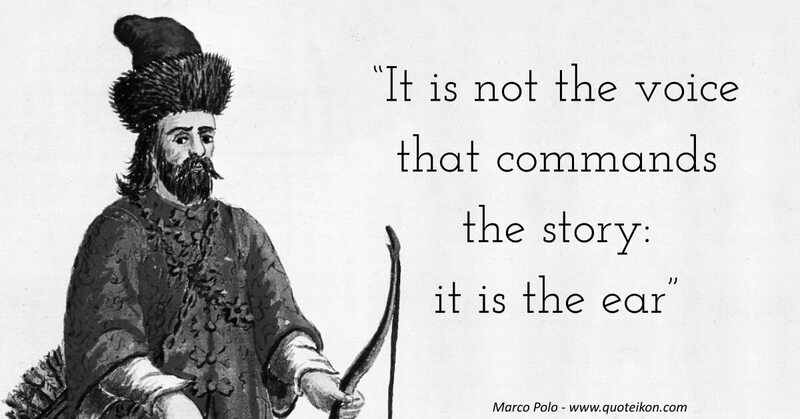 It is not the voice that commands the story: it is the ear"